In the run-up to the incredibly unpredictable French presidential election, I took a look at some of the books being written by prominent (and not-so-prominent) French scholars, and wrote about the vitriolic debate over Islamophobia, Islamic radicalism and the alleged creeping Islamization of France. It is hard to over-state both how complicated, personal and over-the-top this debate can get. 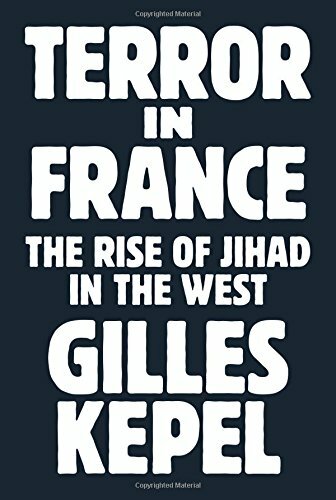 I found Gilles Kepel's book Terror in France interesting as an overview of jihadism in France and of major political developments for France's Muslim minority since 2005 (including some analysis of political participation and of the question of a Muslim vote). Kepel is very critical of the idea of Islamophobia – not because he denies that there is discrimination against Muslims in France but because he says that Islamophobia has been politically instrumentalized to forbid criticism of Islam (Kepel is, not coincidentally, at loggerheads with the Comité Contre L'Islamophobie en France). Yet while I am sure that there are Islamists who use the victimization of Muslims as a means to set themselves up as leaders and spokesmen (always men) and to accrue political influence, there is plenty of criticism of Islam in France these days -- it's practically an intellectual and media industry. "That is one of the arguments of a book published this year for which Bensoussan was the lead editor: Une France Soumise, Les Voix du Refus (A Vanquished France, the Voices of Refusal). A collection of essays and interviews with public employees and officials, the book paints a dire picture of France turning into "a foreign land," its culture, identity, and rule of law threatened by the advance of Islamism. 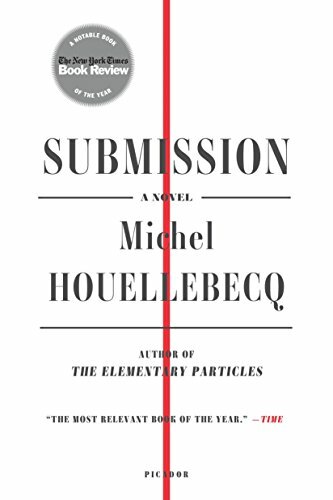 France faces a choice, a passage in the books warns, between civil war or "Houellebecquian" submission to Islam (a reference to the best-selling 2015 satire by Michel Houellebecq, Submission, in which the country elects a Muslim president and adopts Shariah law). As evidence of creeping Islamization, the book cites demands for prayer rooms and halal meals; husbands who will not allow their wives to receive medical care from male doctors; reports of Muslim high-school students’ refusing to observe the moment of silence after terrorist attacks or expounding conspiracy theories. Many of the interviews are anonymous or do not specify when and where particular incidents took place. Bensoussan admits that it "is not an exhaustive investigation and does not have scientific pretensions." Yet he insists that it exposes a reality that France’s elites refuse to acknowledge." Another book, now out in English, I strongly recommend is Olivier Roy's Jihad and Death, a beautifully written analysis of the narcissism and nihilism of jihadis and a critique of the paranoid view of Islam as an imminent threat to France. Also, although I don't write about it in this piece, French journalist David Thomson's book Les Revenants ("The Returnees"), a collection of interviews with young French jihadis (and their female supporters/partners) who have returned from Syrian, is also a riveting work of reportage.